Off the shoulder lace dress with full body lining, three-quarter sleeve, elastic bust and a scalloped hem. Pair with strappy heels/sandals. 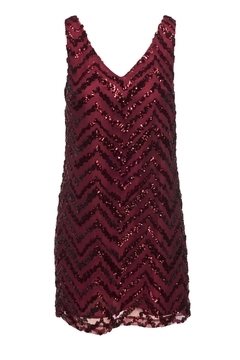 Zigzag clusters of dazzling sequins bring Art Deco vibes to this swingy and comfortable cocktail dress featuring slips on over head V-neck sleeveless and partially lined. 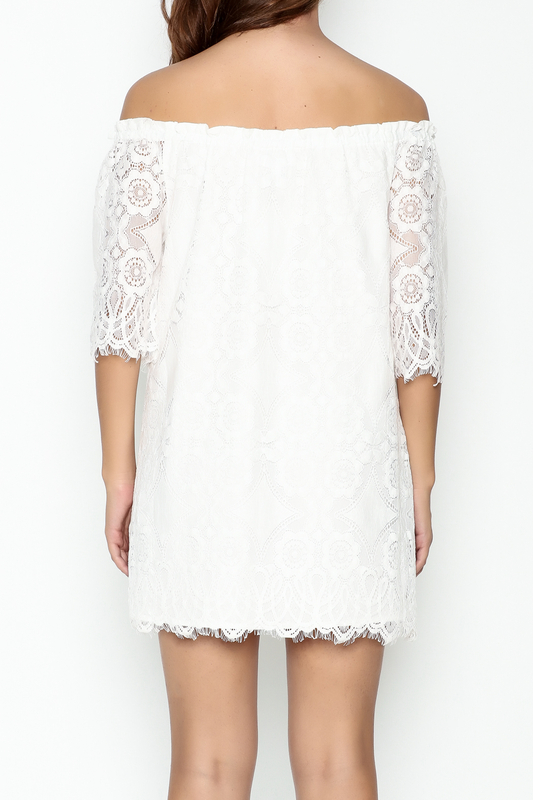 Romantic sleeveless lace dress with a high neckline and plunging v-neck illusion. Body-hugging knee dress with a peplum bottom. Mesh and black contrast piping. Exposed zipper closure at the back.